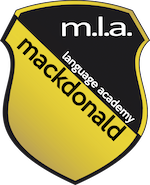 At mackdonald language academy, we also cater for English language programmes for groups of students. We pride ourselves on our high level of customer service and satisfaction as well as the positive agent relationships. We guarantee all our students a successful and fun-filled stay with us in Ireland. A group consists of 15 or more students and we offer one accompanying group leader per 15 students. We welcome groups of students during off-season (from September until June) and during our Junior Summer Camp season (from mid-June until mid-September). During the summer months, mini-stays of min. 5 days to max. 6 weeks are available with residential (Waterford and Dublin) and home-stay accommodation (Kilkenny). During off season, a typical mini-stay for school groups usually ranges from min. 6 days to max. 2 weeks. Accommodation is with host families in Kilkenny. 20 lessons (totalling 15 hours of tuition per week) focusing on English fluency / literature / culture / history / exam preparation / project work etc. Leisure programme incl. cultural, social ans sportive activities to suit each group’s needs and budgets. Programme duration: As all courses are tailor-made and designed to meet your group’s needs, they can vary from 1 week to 6 weeks in duration. We are flexible on arrival times and dates and accept arrivals mid-week. June, July and August is our peak season. (Early booking is recommended to avoid disappointment). Students are given a placement test on arrival and our academic staff will carefully place students in a class appropriate to their level of English. Alternatively, groups can be arranged into classes by their leader in advance. It is also possible for groups of mixed levels to attend a programme together. All our classes have a maximum of 15 students per class so students have an excellent opportunity to speak and to receive individual attention from their teacher. Our highly qualified academic staff are specially chosen for their ability to design and deliver challenging course content. Tuition is 15 hours per week. On completing their course, students are awarded a Certificate of attendance, detailing their Level of English and duration of the course. 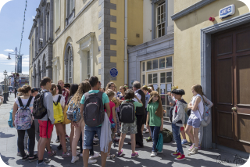 Students stay with nice and welcoming host families in Kilkenny, within easy reach of our school building. Full board is provided with an Irish host family, breakfast, packed lunch and an evening meal are provided with an emphasis on a balanced, nutritious diet. Student welfare is our main concern on our English language programme for school groups. We choose our host families very carefully to ensure maximum comfort. Students may be placed with other international students thus developing new friendships with young people from all over the world. We will develop an entertaining afternoon programme in conjunction with the group leaders, to meets their students’ needs. These vary depending on the age group/ interests of the group. Programmes including sports, cultural tours including museums, cathedrals and castles. In addition we organise full-day excursions to Dublin, Glendalough, Cork and Waterford, football matches with the local youth as well as visits to the cinema. Your group will be given a detailed itinerary and all lessons, activities and trips will be scheduled and arranged before your arrival to Ireland. Student welfare is our main concern and every effort is made to ensure a successful, enjoyable and safe stay for everyone. One of our experienced Irish activity leaders will accompany the group on all outings and activities. Kilkenny is a medium-sized city in the heart of Ireland. Kilkenny is a very picturesque town and an ideal place for students to feel safe and to enjoy their mini-stay in Ireland along with Irish culture and traditions. We advise all students to take out insurance prior to departure. All students on School Group English Language Stays travelling from EU Countries should bring a European Health Insurance Card with them. Students are not insured by the school or by the host family against illness, theft or loss of personal effects. 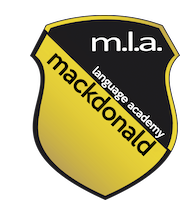 mackdonald language academy cannot accept responsibility in the event of such an occurrence. We therefore strongly recommend personal insurance cover.